Rider Movistar Yamaha, Valentino Rossi, YZR does not know when the latest M-1 will be tested. The Doctor mentions there is a possibility that the motor was introduced in February 2018. The majority of motor manufacturers typically introduce their latest pre-season test in Valencia. This year Dorna official test scheduled on 14-15 November 2017 at the Circuit Ricardo Tormo. "We do not know when the new motor will be tested. It may be at the Ricardo Tormo or even February 2018," said Rossi quoted Tuttomotoriweb, Friday (27/10/2017). Rossi also took part in the development of the new bike Yamaha. The 38-year-old rider gives us some feedback so that the characteristics of the YZR-M1 can fit with the style of racing. Uncertainty at the latest Yamaha motorcycle will be tested not make Rossi worried. However, the nine-time world champion admitted that the tests are done faster would be better. "Of course as I wanted the bike rider to come more quickly. However, it is not a big problem," said Valentino Rossi. 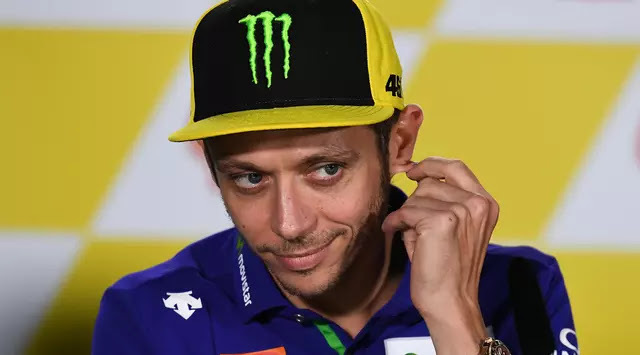 Rider Movistar Yamaha, Valentino Rossi , YZR not know when the latest M-1 will be tested. The Doctor mentions there is a possibility that the motor was introduced in February 2018.